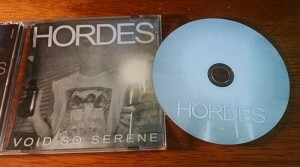 The newest installment in the HORDES discography, “Void So Serene” will be one to remember. 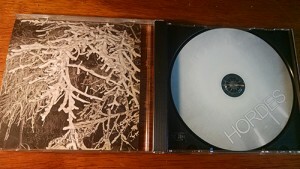 Hordes, known for their melodic drone and noise pieces have taken a different approach for this new album. Still powerful, long cords and spacey melodic sounds at heart, Void So Serene seems to have a more traditional sound than improv noise. Though it still has the qualities of a noise piece, these tracks have a cohesive underlying structure. Void So Serene features 2 epic tracks that total in at just under 30 minutes! Tied together by an amazing 5 minute rock track, this release is sure to please.